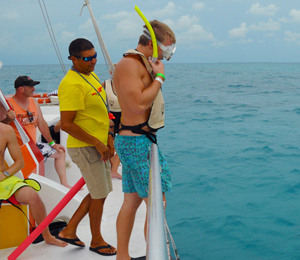 The beaches in Key West while beautiful do not offer the amazing snorkeling that you find on our snorkeling tours offer but for the moments you want to stretch out and enjoy your tropical vacation, and soak up the sun, most people want to hit the beach. In Key West, there are so many beaches that it can be hard to choose one to visit. Here's our list to help narrow the one down that most fits the theme of your vacation. Fort Jefferson Dry Tortugas Beach is the most secluded beach in the Florida Keys, and is the more popular one for visitors to stretch out on and watch the snorkelers float a top the water. Although this beach is not in Key West, it is a short boat or plane ride away, and well worth the price. With beautiful, tropical waters perfect for a crisp swim and snorkeling excursion, it's not hard to see why this beach made the cut. 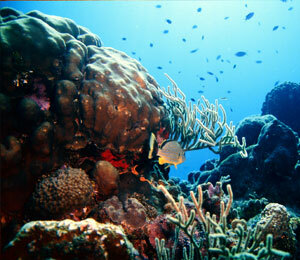 The area is protected by law so that future generations will be able to enjoy the coral reef and it's inhabitants. This beach is located at the end of Duval Street and within walking distance of various restaurants. This beach is a local favorite, and is the home to various events, including the fireworks display for Fourth of July, and the Key West Beer Fest. Also, keep in mind that this beach does not have public restrooms. The Bahia Honda Beach is located about 30 miles north of Key West, within the Bahia Honda State Park. This protected area has calm, shallow waters to wade and snorkel in, and is a perfect family outing. Walk up the old bridge, and have your breath taken away from the beauty as you look down in the clear waters and spot as many animals as you can. Are you going on your Key West vacation to blow off some steam? Come join the party at Smathers Beach, the largest beach in Key West that has two miles of a sandy beach and palm trees. There is a sufficient amount of parking for the crowds and there are plenty of activities to do at this beach. 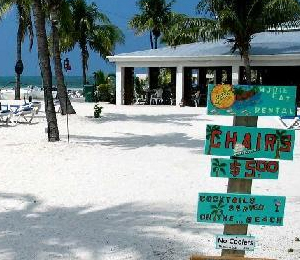 Smathers Beach offers watersports rentals, parasailing, windsurfing, volleyball, snack vendors, and restroom facilities. Looking for a more kid-friendly time but still have some of the activities of Smathers Beach? Than Higg's beach is perfect for you, and your children. It offers a great place for families to have fun by offering playgrounds for the kids, water sports activities, picnic tables, restrooms and a restaurant. The beach is free admission and is open daily from 6:00 a.m. to 11:00 p.m. Looking to give your furry, four-legged best friend a great vacation as well as yourself? Key West's Dog Beach is the match you've been looking for. Key West has a lot of pet friendly atmospheres and it's no wonder it has become one of the top pet-travel destinations in the United States. You get the best of both worlds at this beach, because you get to lay back and soak up the sun, while your canine best friend frolics in the water with his new doggy friends. This beach is located on the corner of Vernon and Waddell streets and has no restroom facilities (for humans, at least). The locals do ask that you pick up after your pet in order to keep the beach clean for others. Some people imagine their tropical vacation by sitting on a beach and watching the sunset with their loved ones. If that's the case for you, than we recommend that you kit up Rest Beach in Key West. Rest Beach is the perfect place to watch the sunset show, and relax next to the locals of Key West and other out-of-towners. The restroom are a short walk away and the park is also wheelchair accessible.